I only had time for a short walk today as I had an appointment to get new tyres fitted. 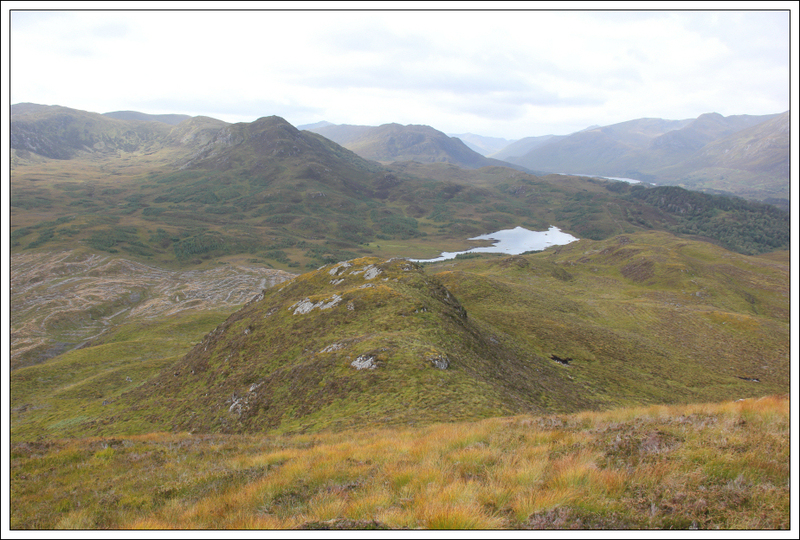 I decided to head for Cannich and then on to Cougie for an ascent of Creag Dhubh. 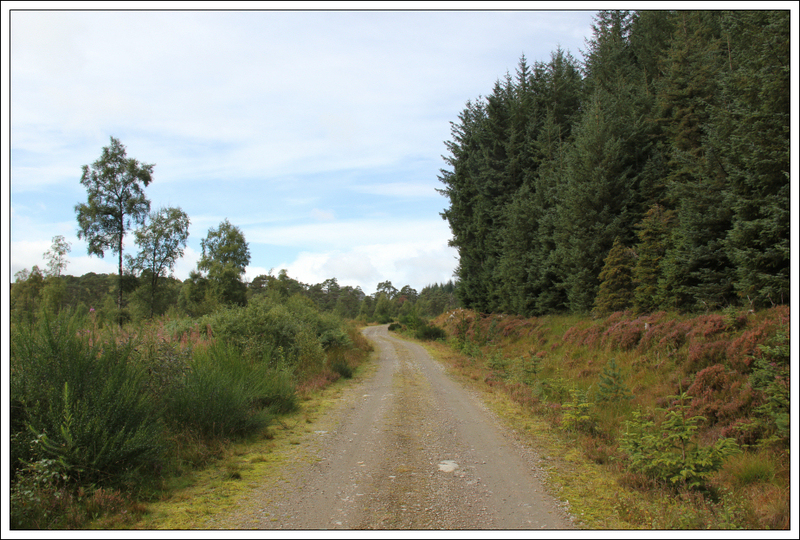 Today was the first time I have driven along the Tomich road to the South of Glen Affric. 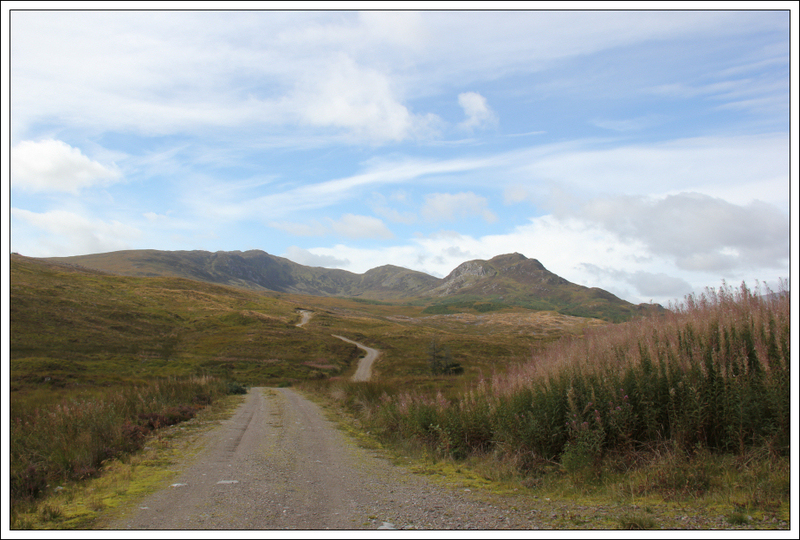 Despite the road being coloured yellow on my OS map, the road was not marked on my SatNav. The road is mostly unsurfaced and has a large number of pot holes. 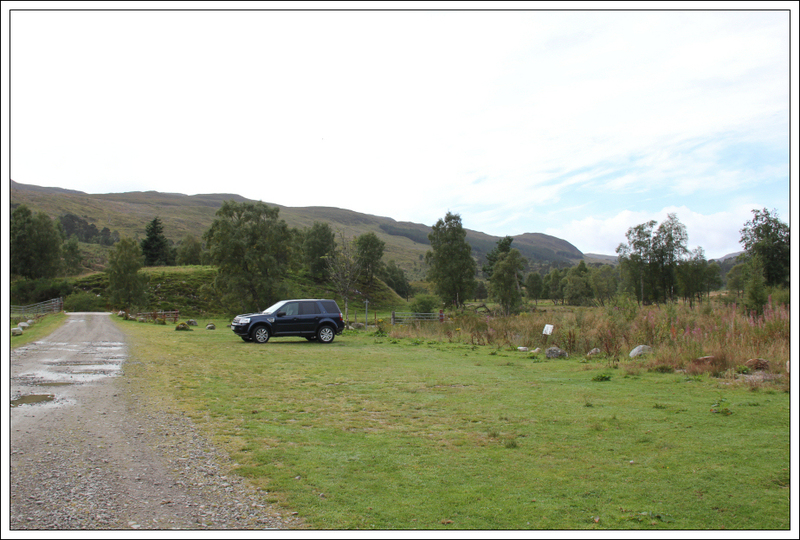 A short distance beyond Tomich I stopped to take a photo of the small lochan next to Hilton Lodge. The reflections were nice on the flat calm water. 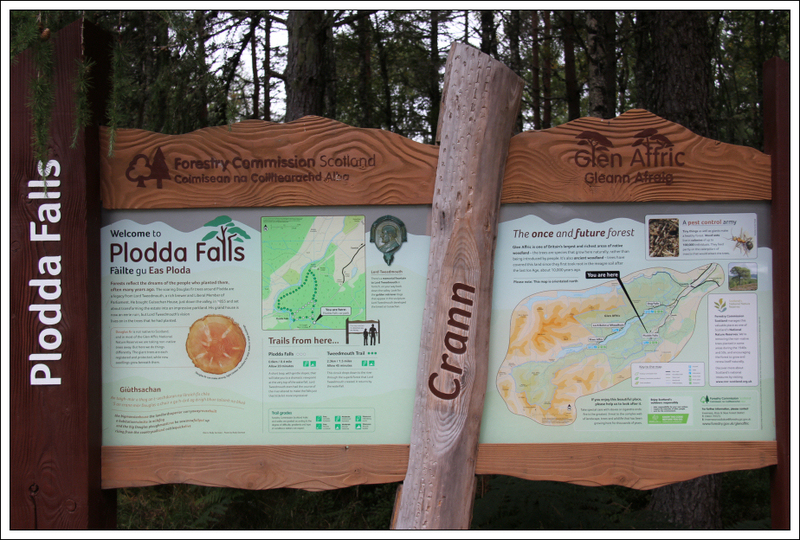 A short distance beyond Hilton Lodge, I passed the car park and signage for Plodda Falls. I decided that I would visit these falls on my return journey. On arrival at Cougie, I parked in the parking area where there is room for circa 8 - 10 cars. 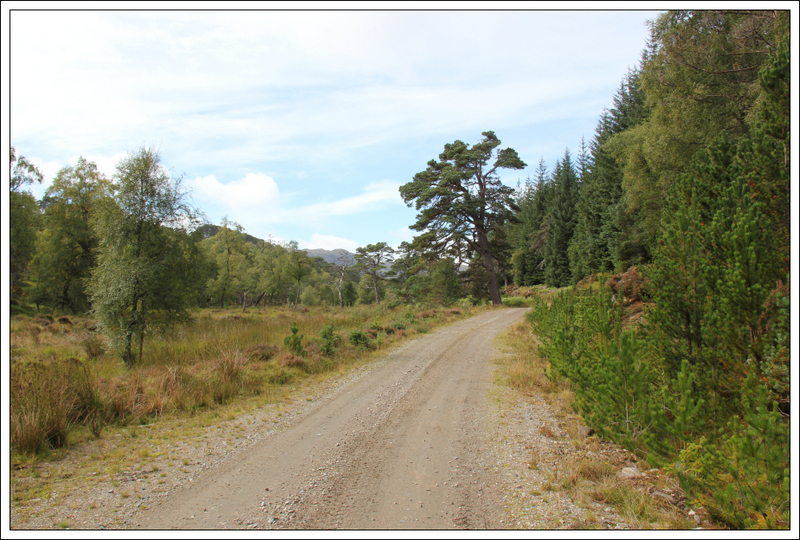 From Cougie, I followed the track with the sign pointing towards Glen Affric. The walk along the track was really pleasant. 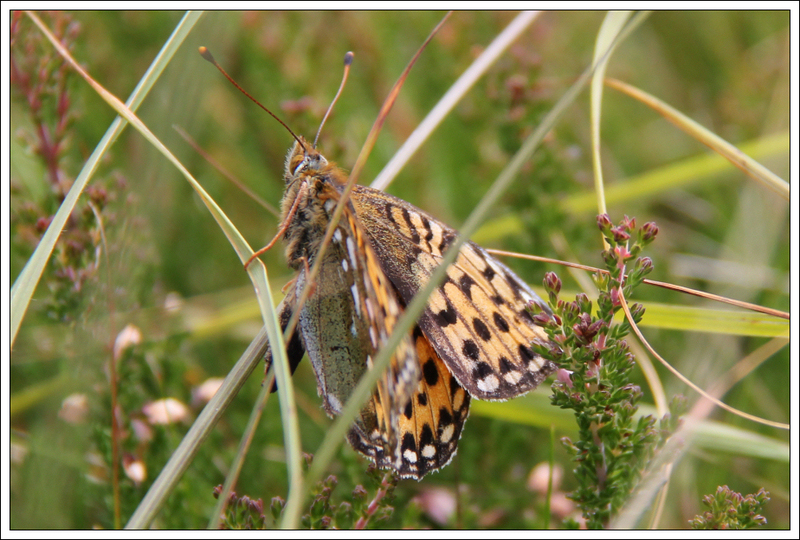 There were numerous damsels and dragons and several types of bee feeding on Devil’s Bit Scabious. 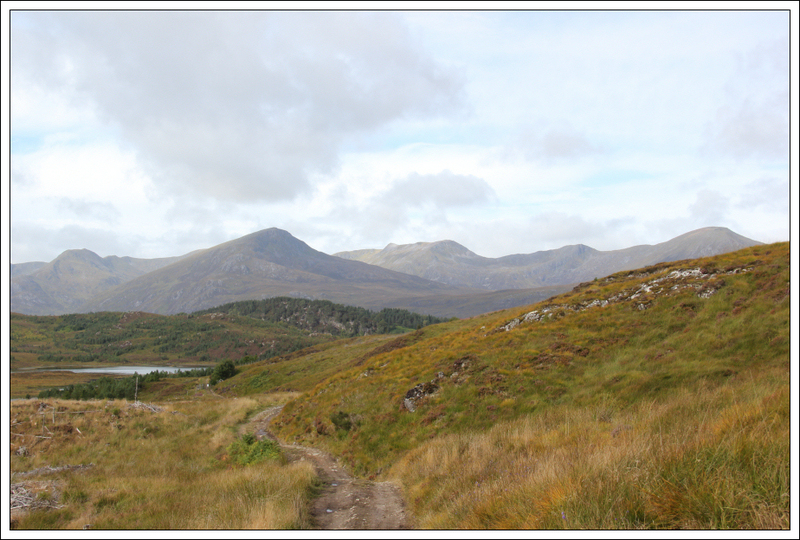 It was nice to look across to Aonach Shasuinn. 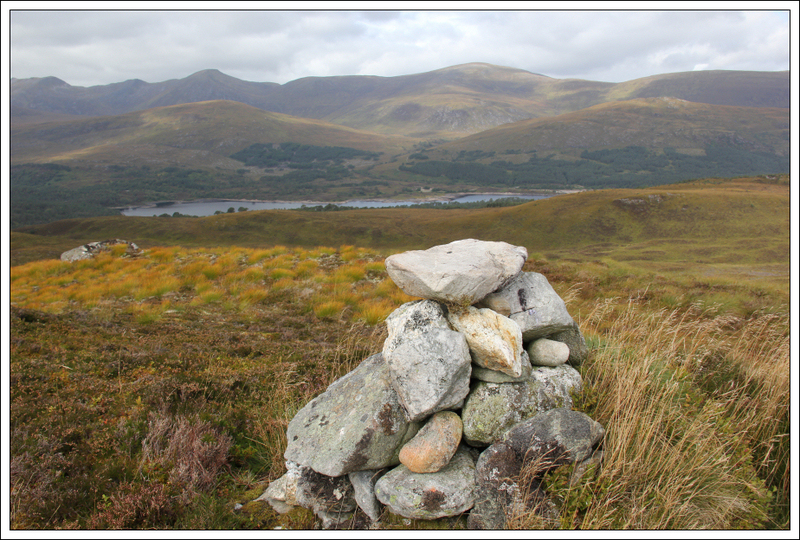 I spent an enjoyable day walking the two Corbetts with my pal Jim back in August 2010. 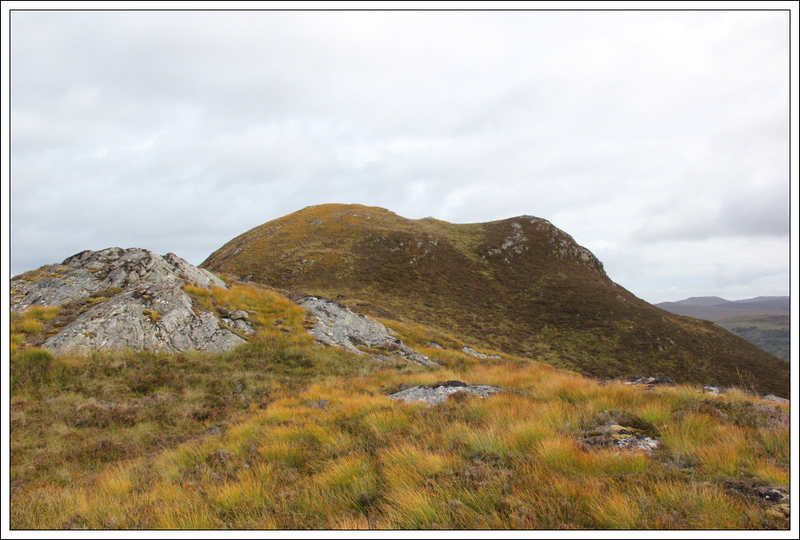 Having looked at the map before setting off, it had been my intention to ascend Creag Dhubh once clear of the forest. I abandoned this plan as I was not keen to wade through deep bracken. 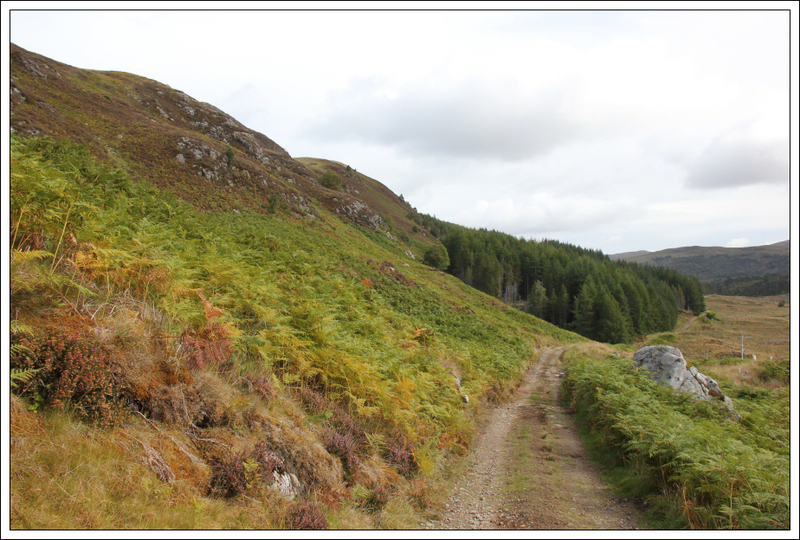 Instead, I continued to follow the track as far as its high point which had much less bracken but had instead lots of high tussocks, long grass and numerous hidden tree stumps to fall over. The terrain from the track to the summit was really unpleasant. As well as having to wade through long grass and avoid the stumps, I had to regularly brush ticks of my clothes and hands. Most of the ticks were very small making them quite difficult to spot. 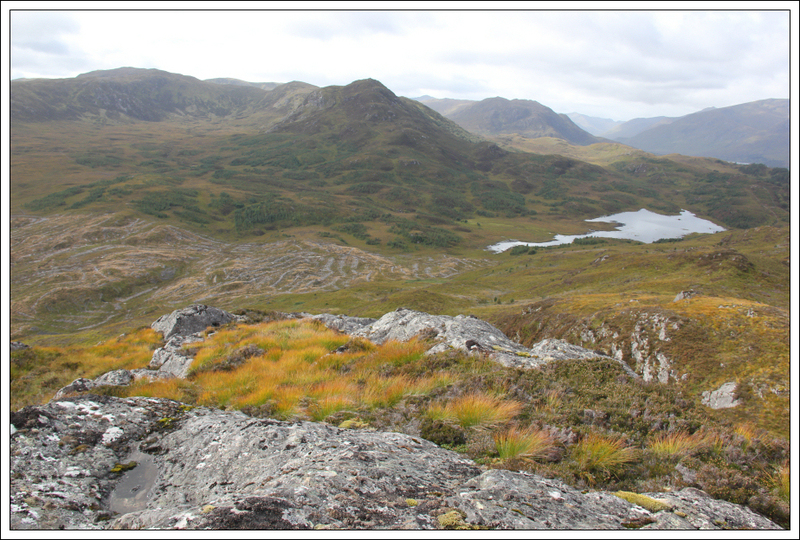 Despite the awful terrain, Creag Dhubh is a fairly-good viewpoint. 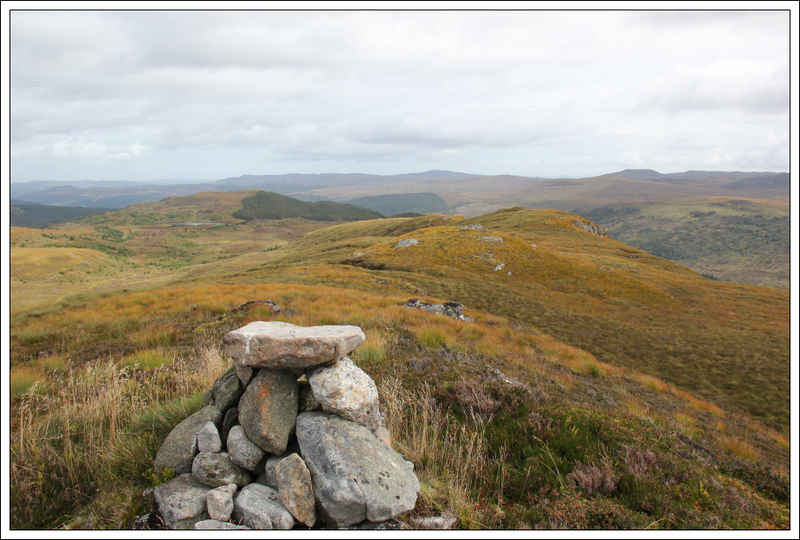 On reaching the summit cairn, I took a couple of photos and then immediately started to make my way back down the hill. Once back on the track, I brushed myself down again and knocked another tick off my hand. 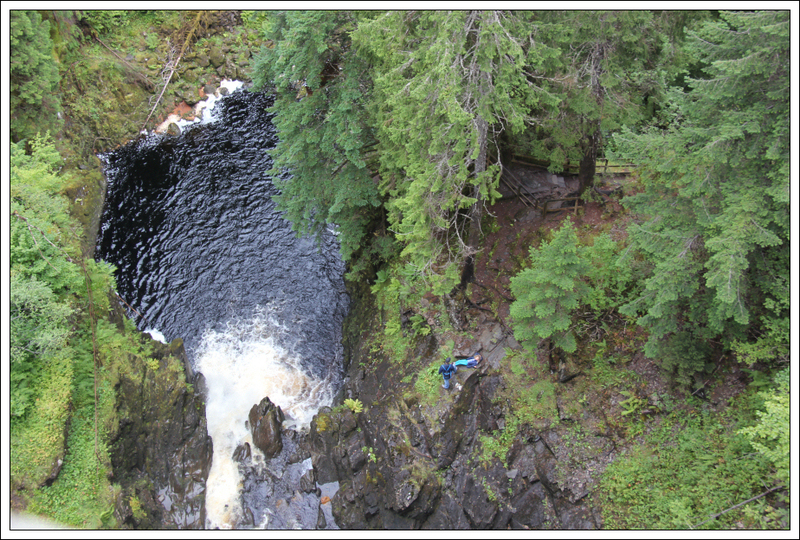 On returning to Cougie, I drove back along the road towards Tomich stopping en-route at Plodda Falls. 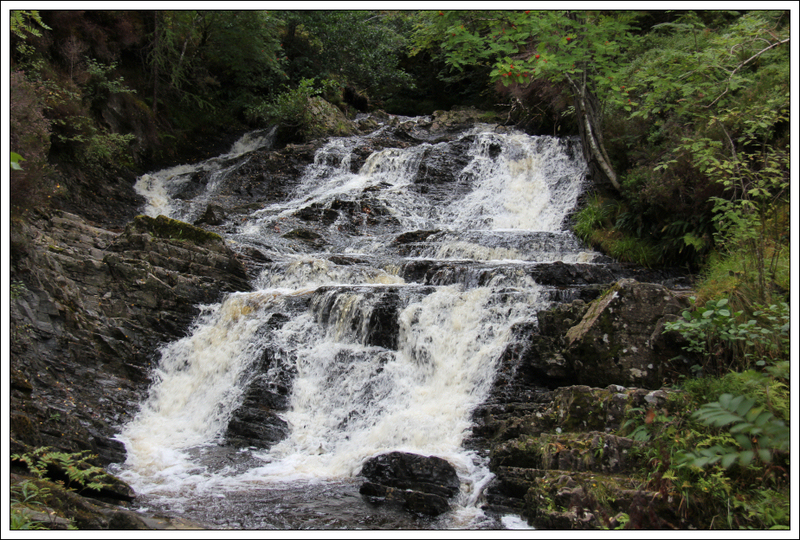 If you are in the Glen Affric area, Plodda Falls is well worth a visit. There is normally a £2 charge to park in the Forestry Commission car park, however, today the ticket machine was covered-up . 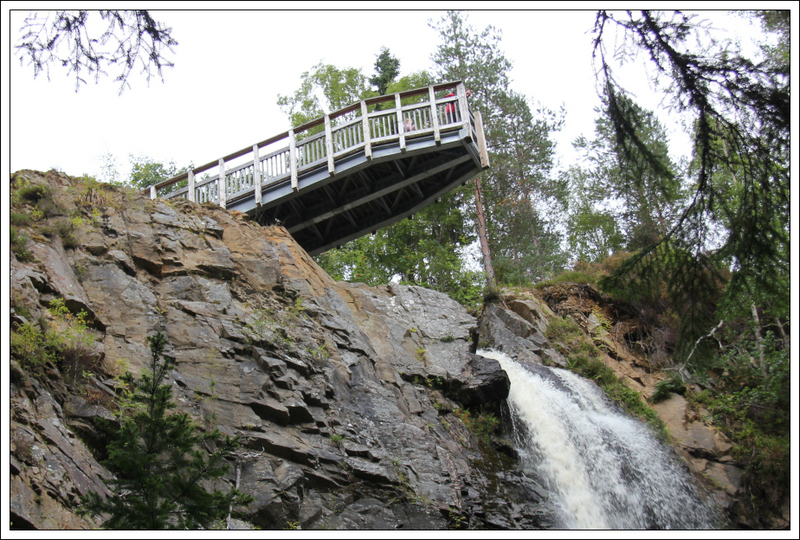 It is only a 300m walk from the car park to the Plodda Falls viewing platform. 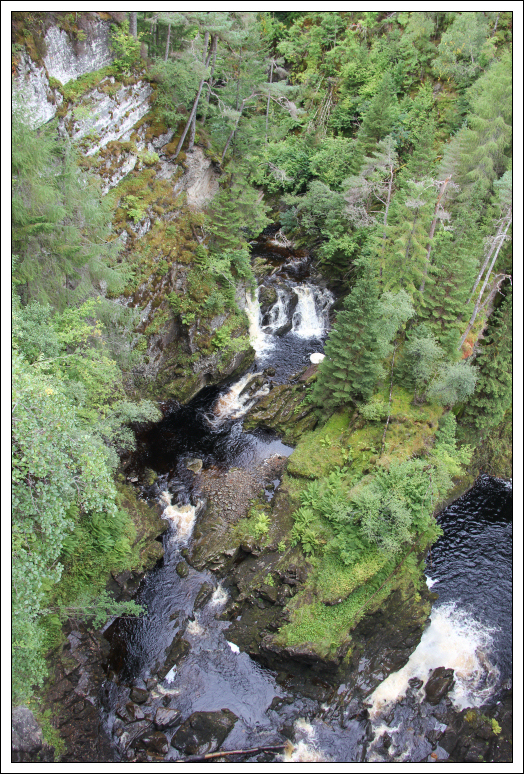 You can’t see the waterfall at its best from the viewing platform, however, you do get a great view down into the large chasm below. I then followed the path leading down towards the base of the waterfall to get a better look at the waterfall. Plodda Falls is definitely worth a visit. 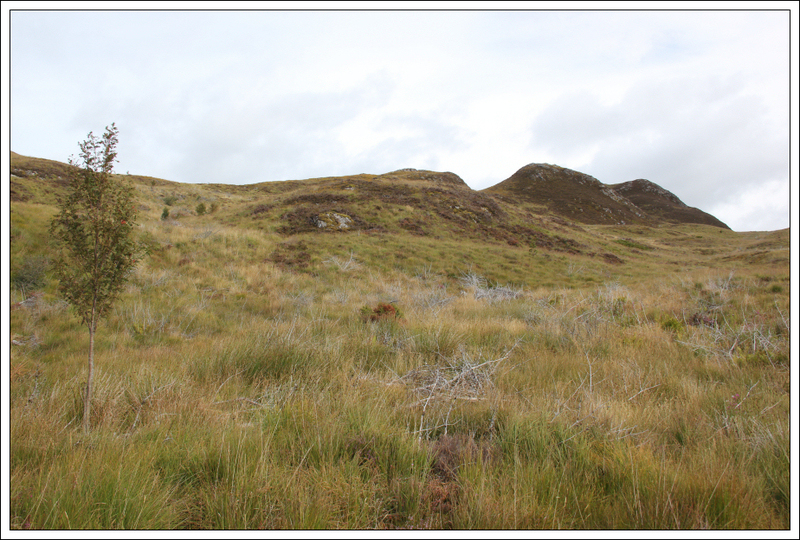 If I were ever to again ascend Creag Dhubh, I would wait until Winter/Spring to avoid the bracken/long grass.